A: See our overview of CBD. Q: What are the stages of the competence continuum? Transition to Discipline equates with the first month of PGY1 = Springboard. Foundations of Discipline equates with the subsequent 23 months (the majority of PGY1 and PGY2). Core of Discipline equates with PGY3 and PGY4. Transition to Practice equates with PGY5. Q: What is an EPA? A: The definition and description of an EPA and each of the EPAs for the Transition to Discipline and Foundations of Discipline stages of competency can be found here. Q: Are EPAs the only way that residents are assessed? 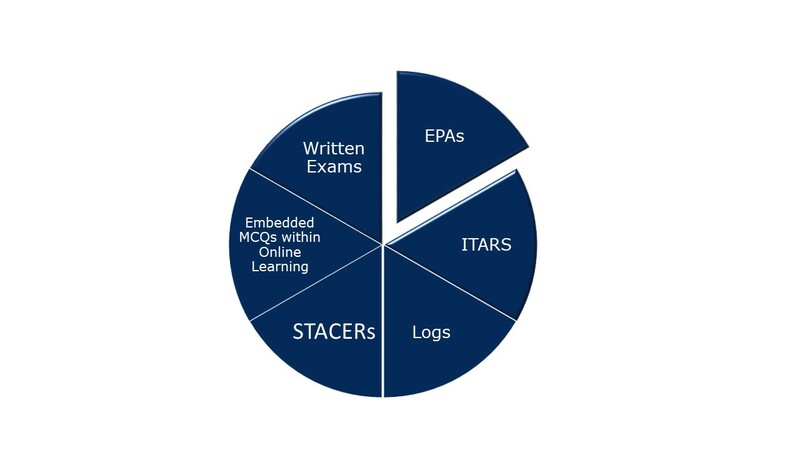 A: No – EPAs are one component. There are still many other methods of assessing residents, all of which are reviewed by the Competency Committee. Q: How frequently do EPAs need to be observed? A: Each resident needs an EPA to be observed about once per week. Q: Is the EPA e-tool live now? A: Yes, the EPA e-tool is live and ready for use! Residents have been trained and know how to access it and complete it. Q: Do all the milestones in an EPA need to be addressed at the time of the encounter? A: No – if a resident is entrusted with an EPA, then it is assumed the component milestones are achieved. Q: Does a resident need to be observed in the encounter to complete the EPA tool? A: For some EPAs, observation is essential. For others, the competency can be inferred from the presentation (e.g. reviewing the history or coming up with the diagnosis and plan). Q: Can nursing and allied health team members complete the EPAs for the residents? A: For now, only physician faculty and senior residents can complete the residents' EPAs but we are working towards a more balanced and open process. We hope in the future that allied health can complete the EPA tool but we are awaiting direction from central postgrad before implementing. At least 50% must be completed by faculty. Q: Will Supervisors have their own accounts in the EPA tool? A: No – the EPA tool is resident driven and the residents use their own accounts.